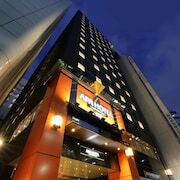 Top 10 Nagoya Hotel Deals from ￥4,630/Night! Everything was great, A/C remote needed translation to english like the TV remote. Otherwise highly recommended!! Everything was wonderful. Staff is very kind and attentive. Quick － what's Japan's third largest metropolitan area after Greater Tokyo and Greater Osaka? Stumped? Don’t feel bad – Japan’s Third City often flies under the radar, even among Japanese. But don’t be fooled: this major commercial and historic center has a plethora of sights, activities, and excitement to keep even a Japan travel veteran endlessly entertained. We are speaking about, of course, Nagoya. 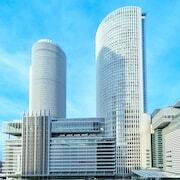 Home to Japan’s auto industry, Toyota, Honda, and Mitsubishi were all born in Nagoya. And just as these three modern corporate titans have helped unify Japan’s 21st century economy, so too did three historical giants from Nagoya: Oda Nobunaga, Toyotomi Hideyoshi, and Tokugawa Ieyasu. 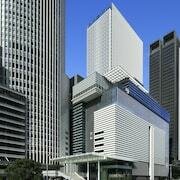 Mixing the new economy with old traditions and historical legacies defines contemporary Nagoya. This is reflected in what the city has to offer to tourists of all types: peruse a host of historic cards from around the world at the Toyota Automobile Museum, followed up by a tour of Nagoya Castle, one of Japan’s biggest, and the previous domicile of none other than Nobunaga himself. Take in the dolphins and sea lions at the Port of Nagoya Aquarium, and then head over to the Sakae district at night for some fun – and delicious – izakaya hopping. 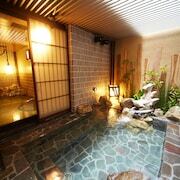 Whether your taste runs towards the historic or the hedonistic, Nagoya has just the thing for you. When visiting Nagoya, keep in mind that like in other Japanese cities, the majority of activities and sights tend to cluster around major train stations. With this in mind, it makes sense to find a Nagoya hotel near Nagoya Station, Sakae Station, or Kanayama Station to the south. 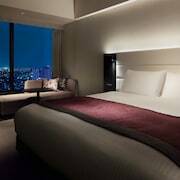 You will find all of the standard Japanese hotel chains present at all three stations, with the ubiquitous Toyoko Inn found at essentially all secondary stations as well. If you feel like splurging, give the time-honored Nagoya Kanko Hotel a look – this gorgeous establishment lived its first life as the Nagoya State Guesthouse, and is appropriately appointed. Nagoya has a reputation among Japanese as being more car-oriented than other major Japanese cities – and this makes sense, given how important the auto industry is to the regional economy. But Nagoya still has a highly-developed, convenient subway and rail system, which can easily take you anywhere you want to visit. Be warned that the summer months – July through the end of September – can be especially hot and humid. But if you do visit Nagoya during the summer, make sure to catch a Chunichi Dragons pro baseball game at the Nagoya Dome, and do not even consider leaving without trying misokatsu: fried pork cutlet bathed in Nagoya’s special, red miso sauce. You can find some of the best misokatsu joints near the Osu Shopping Arcade – a step back in time with mom and pop eateries lined next to arts and crafts booths and vintage clothing shops. In Nagoya, the eclectic is the norm. 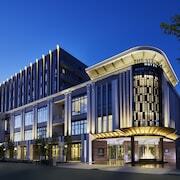 When you book your next Nagoya hotel, don’t miss out on Expedia’s best-in-class rates and availability. Nagoya may be a world away, but Expedia can help get you there comfortably and conveniently, at a price you are happy with! Explore Nagoya with Expedia’s Travel Guides to find the best flights, cars, vacation packages and more!